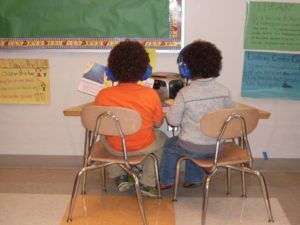 Early Childhood Education is a 2-year program providing instruction on standards put forth by the National Association for the Education of Young Children (NAEYC). Curriculum is rotated from year to year. In this course, students will become acquainted with the field of early childhood education. They will assist in operating an on-site preschool program(My First School) and interact with local teachers and daycare providers when completing student teaching opportunities in the community. Early Childhood Education students will receive training and have the opportunity to be certified in the following: CPR/First Aid, OSHA Start Safe, Stay Safe, and Serve Safe Food Handler. Finally, all students begin a professional portfolio constructed on the preparation standards from NAEYC. Students who successfully complete two-years in the program will have the opportunity to apply to be a Certified Early Childhood Assistant (CECA) in the State of Maine.